Soils that are discolored and stained are soils that contain an abundance of a substance that is not naturally occurring in the soil and as a result has altered the coloring of the soil. These visible signs of distress are usual a strong indicator of contamination in the soil. Stained soil is a clue that contaminant problems may lie below. Deep below. Soils are not simply dirt as many people generally think. Soils are a complex mixture of minerals, nutrients, plant and animal decay. Soils provide the nutrients to plants to allow them to make their own food. Without the plants the soils are exposed and can be washed away. If the balance of a soil is off due to outside contamination it can cause plants to wither and die. The contamination in the soils is now free to be eroded right along with the soil. This transport harmful contaminates to new environments where they can harm the ecosystem all over again. In order to prevent spread and to help the current area from soil contamination the soil must be dug up and cleaned. 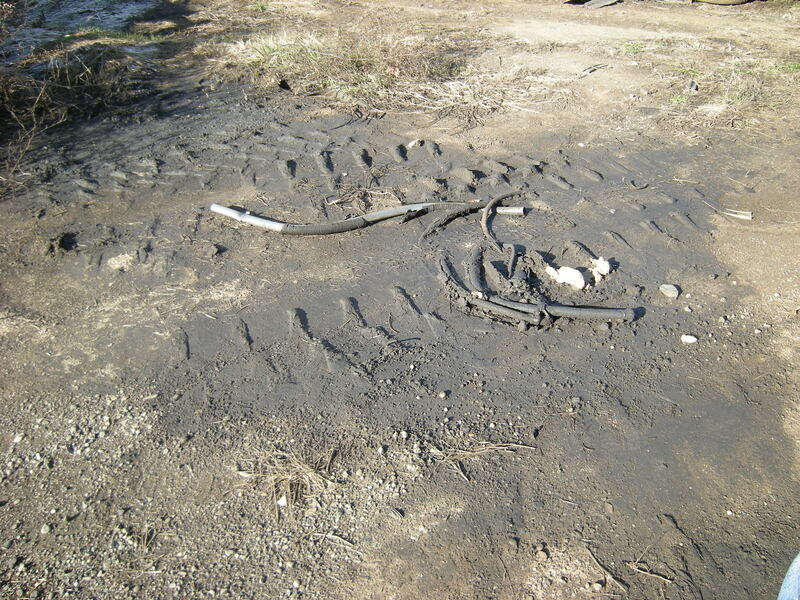 Soil contamination can linger for a long period of time until it is cleaned up.